On that night, so many Halloweens ago, tragedy struck at The Hollywood Tower Hotel where there would have been a gala that would have been the buzz of Hollywood for years to come. From am eight course meal in the Sunset Room to Anthony Fremont and his Orchestra at The Tip-Top Club. A night never to be forgotten, but now under circumstances the hotel had not accounted for. 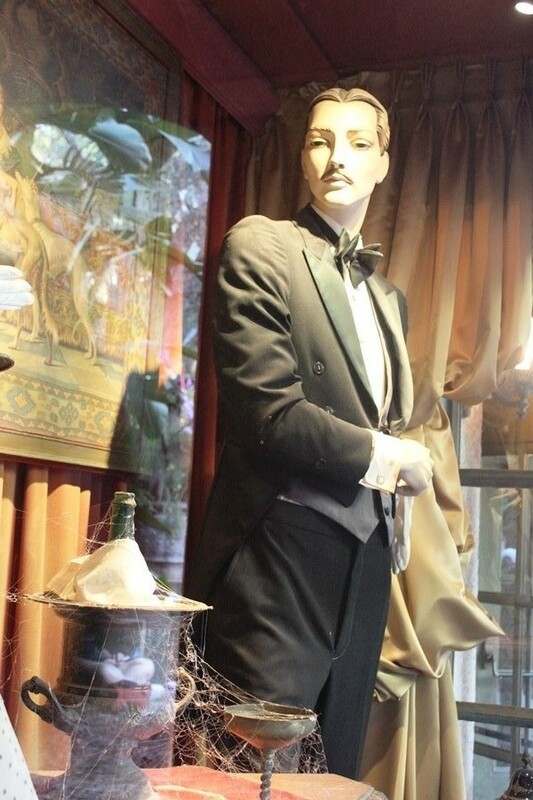 The planning for this dressed-to-the-nines event made it all the way to The Hollywood Tower Hotel’s boutique, The Apparel Shop. The windows were dressed with elegant gowns and formalwear, items for costumes, Halloween trimming, and other luxury items. 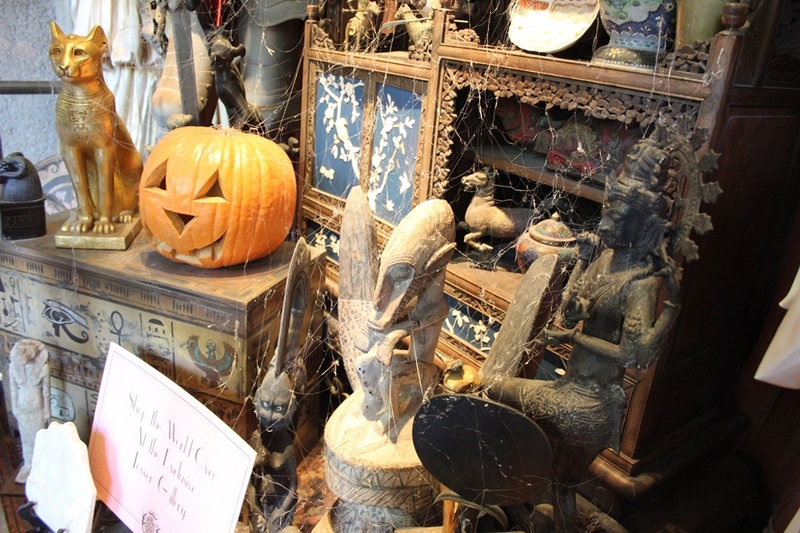 While the dust and cobwebs have piled up over the years, these window displays still ooze with a sense of spooky exclusivity. On this eve of Halloween, let’s take a moment to pause and really explore the storefront windows of the tower of Terror’s Tower Hotel Gifts. Were off on an adventure of sorts with today's two offerings from Joffrey's. 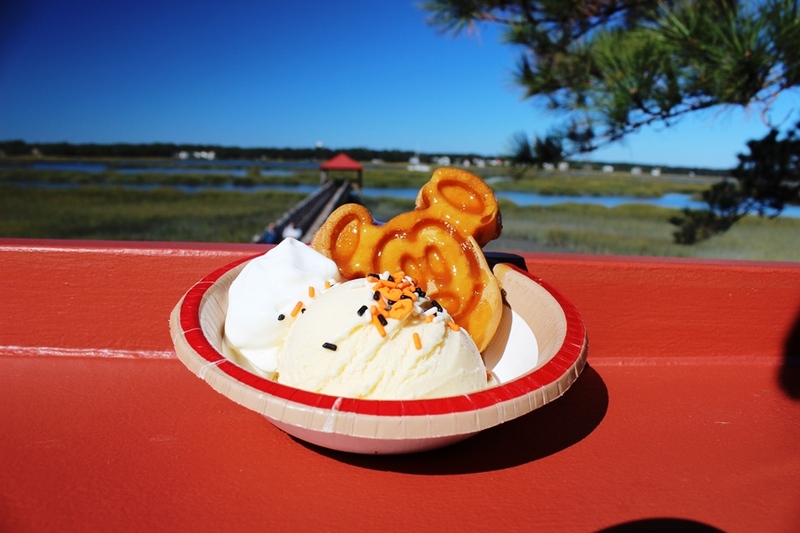 One comes to us from a restaurant that is arguably the meal to have when you're visiting Disney's Animal Kingdom, while the other serves a multitude of guests each morning in their resort rooms. As any coffee enthusiast will note, no two coffees are the same, and these two sum that thought up perfectly. Per usual, since I am not a fan of coffee myself, we're handing the reins over to the missus (who is the best part of waking up, in my book), Aileen Sheehan-Wilson. Take it away! 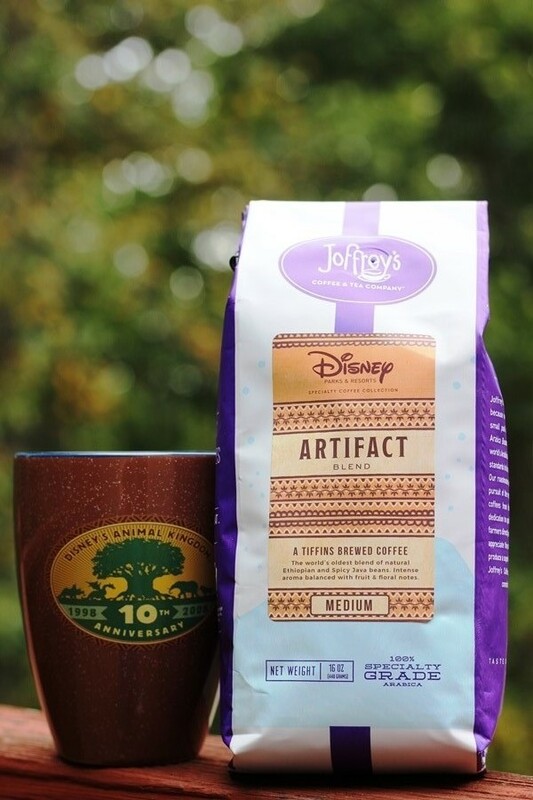 Artifact Blend (Medium) – A Tiffins Brewed Coffee exclusively served at Disney’s Animal Kingdom Theme Park. 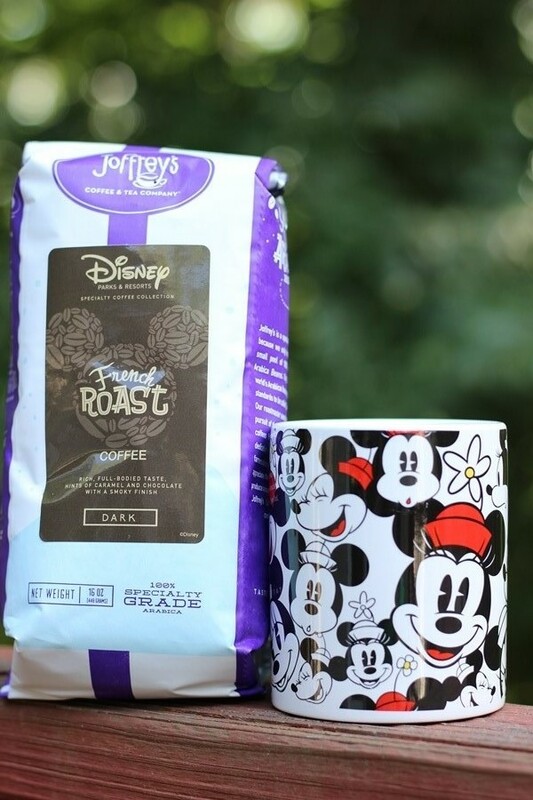 Your visit to this unique and themed restaurant is not complete without a coffee expedition inspired by adventure. Natural Ethiopian beans are blended with spicy estate beans from the Indonesian island of Java. Together you experience fruity and floral with deep, earthy undertones, both are 100% Specialty Grade Arabica. This coffee tastes exactly as it was described. It was slightly fruity, but it definitely had earthy undertones. Basically, it made the roast very balanced and there were no powerful flavors that would overshadow the food you were eating. It tasted like a great medium roast and I felt like it would go well with spicy foods or rich desserts. This was a roast I would probably not order for my home, but would definitely have at the end of my meal at Tiffins. French Roast (Dark) – Hand-selected blend of beans from Central & South America artfully roasted to a brown so deep it borders on black. Robustly aromatic with hints of caramel and chocolate with a beautifully smoky finish that delightfully lingers. Offered and enjoyed in-room at select hotels across Walt Disney World® Resort and Disneyland® Resort, and now available to enjoy at home. Let the wonderful memories come alive with each sip. Unfortunately, I did not get any of the flavors listed in the description from this roast when I tried it at home. It tasted quite acidic, without a hint of richness. I wanted to love this, and I normally enjoy French roasts, but this did nothing for me. I ended up using the whole bag, but I made it much weaker in order to reduce the acidity and slightly metallic taste. Sadly, the French Roast was not a winner, but maybe you will enjoy it as your in-room coffee when you stay on property. Spoiler Free Synopsis: We find Figment and Dreamfinder right where we left them at the end of the first series, in the modern day approaching a building that looks suspiciously like Spaceship Earth. As the Dream Machine begins to have some trouble, the pair makes a hasty landing at the current version of the Academy Scientifica Lucidus. The Academy has changed, but friends and the enduring values that the Dreamfinder and Figment have remained. Of course, the modern course of creative academia is not without its trials. Capri, Dreamfinder’s great-great-great grandniece has been trying to gain acceptance to the Academy, only to continually be turned away. She has the same wide-eyed sense of wonder and exploration that her ancestor, Dreamfinder, had, but she also possesses something he did not in his younger days, confidence. This is made all the more clear when Dreamfinder’s personal doubts of being able to live up to the expectations of him create a dark figment of his imagination, Doubt or the Doubtfinder. Can Figment, Capri, and her figment of imagination, and flying cat-like creature known as Spark, free the Dreamfinder from Doubt’s clutches and save the world from the ever spreading disbelief and fear Doubt has been sowing? It’s going to be an all-out brawl between doubt and imagination, with only one crossing the finish line. Disney Source Material: As we spoke to in the original series, Figment 2: Legacy of Imagination leans heavily on the original EPCOT Center attraction, Journey Into Imagination. In fact, I would go so far as to say that this series feels more like the descendant of that attraction that even the original Figment series from Disney Kingdoms. 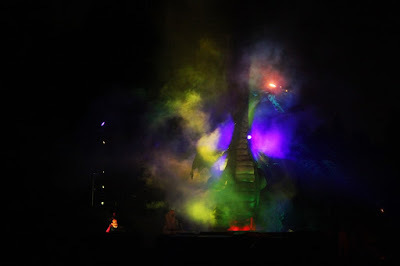 The darkest and brightest elements of the attraction may not be carbon copied in Figment 2, but their spirit is alive and well, from the spookiness of the literature scene in the attraction to the bright artistic nature of Capri in the series, there is plenty of bleed over between the two. Spark, for her part, is new to the world of Imagination, but she is deeply rooted in the world of Disney. Specifically, she is the embodiment of song that enriches so many of the Disney animated and live-action films, as well as its theme park attractions. We could list each and every reference here, but where’s the fun in that. Rather, as you read through the series, make sure to take note of the classic songs, and their composers, that are given subtle, yet meaningful, nods throughout. Marvel Storytelling: Figment 2 returns Jim Zub to the helm of the as the series’ writer. It is clear that he has spent quality time with these characters, and is returning to a place and a story he loves. In fact, it almost feels as if this is the story he was itching to tell throughout the entirety of the original Figment run. The storytelling is tight, the offshoots are less than we saw in the original, and each character has an arc that is worthy of her or his’ place in the tale. Picking up the artistic duties is Ramon Bachs. Ramon has been around comics for quite some time, working for various companies and properties, including Detective Comics, Civil War: Front Line, Red Robin, Ultimate Spider-Man, and various Star Wars publications. There is less ambiguity with the artwork in Figment 2 than the original series, just pick up both stories and compare the detail work of the Dream Machine, and there is consistency amongst the characters’ portrayals that was lacking in the first run. Last, but most certainly not least, Jean-Francois Beaulieu is our colorist. 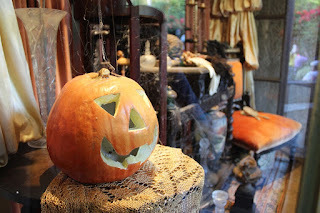 He has been a steadfast staple through most of the Disney Kingdom series, and his expert touch is once again a welcome sign. Bonus Time: Similarly to the original Figment, Figment 2 has a wealth of concept and cover art. 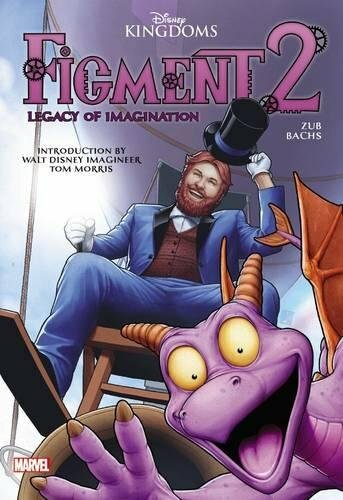 From action figure covers to character and scene development from the attraction, Figment 2 will feed your hunger for both art from the current series to those of you looking back into the annuls of Journey Into Imagination history. 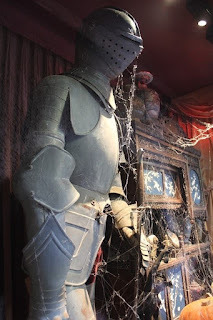 For those of you who love the history elements as much as I do, you need look no further than the opening letter, this time coming from Imagineer Tom K. Morris. For those unaware, Tom has had a hand in many of the projects we know and love in Walt Disney World. In fact, he was the designer of the Dream Machine! In his letter he speaks to the enduring legacy of Walt Disney, and how it relates to Figment and Dreamfinder. It is a letter worth reading and remembering. Conclusion: Figment 2’s subtitle is Legacy of Imagination, and that is precisely what the series is. It picks up everything we hold near and dear from the attraction, or gives those who never had a chance to experience Journey Into Imagination a taste of what that must have been like. I said it earlier, but this feels like the story Jim Zub wanted to tell, but he had to set up our heroes and the world in which they reside, first. If I were given a choice, I would almost always pick up Figment 2 before going back to the original series, it is that much of an improvement in my eyes. The new additions to the cast make perfect sense, and fit right in to the story, without ever taking the emphasis off of the adventures of Dreamfinder and Figment. 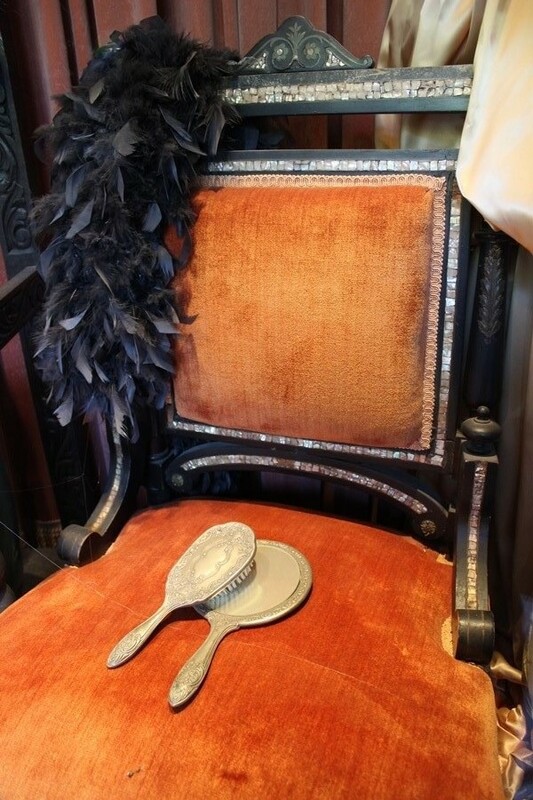 If this is your first stop aboard the Dream Machine, you are definitely in for a ride. When it comes to Walt Disney World, sometimes a name is just a name. More often than not, however, a name definitely has a tie to a Disney property, the location’s story, or an actual tale from history. Making the most of this theory, we’ve made our way over to Disney’s Boardwalk and stopped by AbracadaBar, where a wallpaper isn’t just any wallpaper. 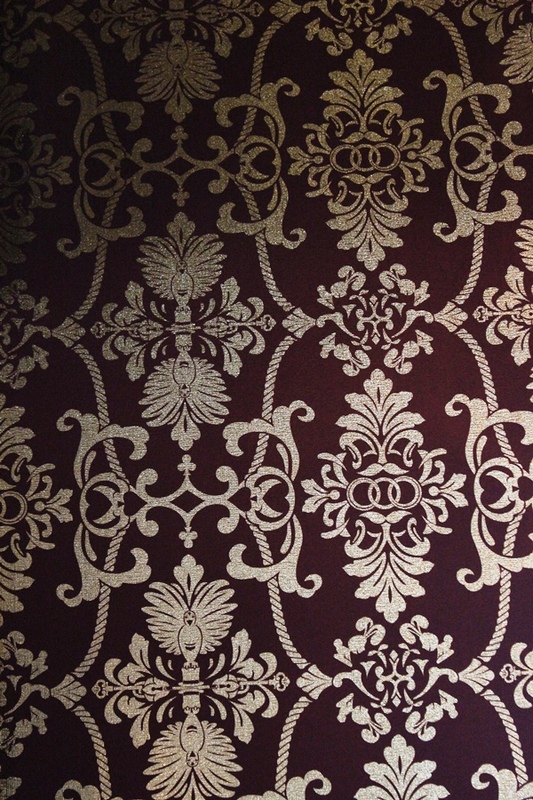 There’s a lot of magic to be found in this wallpaper. Let’s start with the three rings in the center of part of the pattern. Clearly rings are a staple of the magician’s bag, as are ropes which you can find if your eyes travel a little bit to the left. On the same line as the rings, where you can see some flourishes, are actually card suits as cut outs. Starting with hearts, spades, a diamond, and then mirroring back to the spades and hearts. The club is in the golden curls themselves just above and below the diamond. Moving up or down from the clubs are another magic fundamental, doves. From the center of this section, where the birds are perched, is a pair of keys. Clearly someone is working their way out of a lock or a pair of handcuffs. Moving back to the right is a nice ornate motif, but it’s hiding another magical critter. Four rabbit silhouettes can be seen here. Now, if my eyes don’t deceive me, I believe these rabbits are actually Alec Azam, the rabbit from the 2008 Pixar short Presto. Here’s where I’m going to get a little more into the realm of Rorschach tests, but stick with me. Moving back the pattern with the rings, I want to focus on the designs above and below, followed by those on the side. To me, I see a mustached magician’s face staring out from atop and underneath the rings. Off to each side it almost looks like the upper body outline of an assistant or magician raising her arms in a flourish at the end of an illusion. 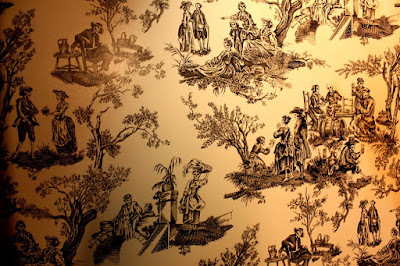 Now, considering the lore of AbracadaBar tells us that all of the magicians, stage hands, and assistants all vanished one night; is it all that hard to believe that some of them could be trapped in the wallpaper? If you’re looking for who these two figures might be, may I suggest that the figures of Lasdow the Lucky (Master of the Magic Hat) and Madame Heshire (Mover of the Moon). Walt Disney World and the Imagineers that build the inclusive environments are masters of illusions and working in subtle nods to nudge their stories along. 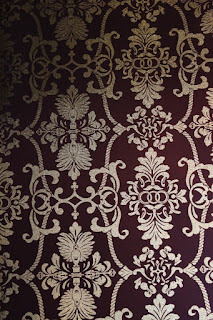 Is it any wonder that there attention to detail goes all the way to the wallpaper? 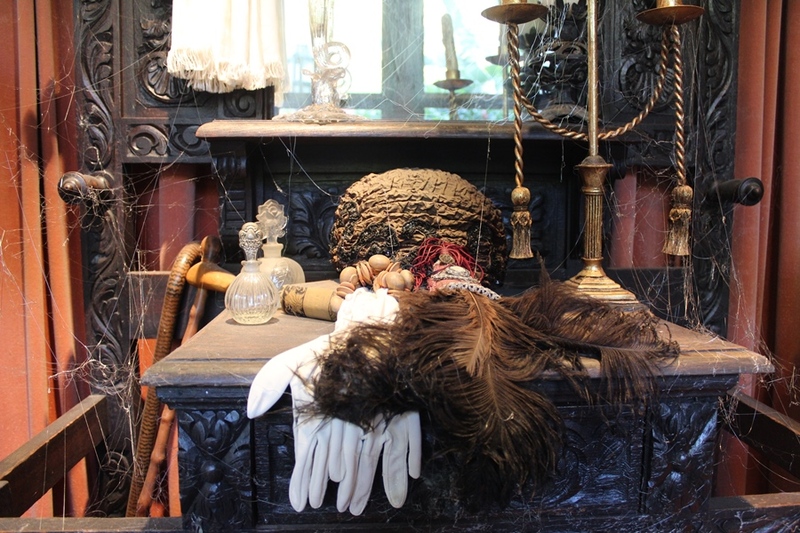 Be sure to check it out the next time you stop by AbracadaBar for a Parlor Trick or Pepper’s Ghost! 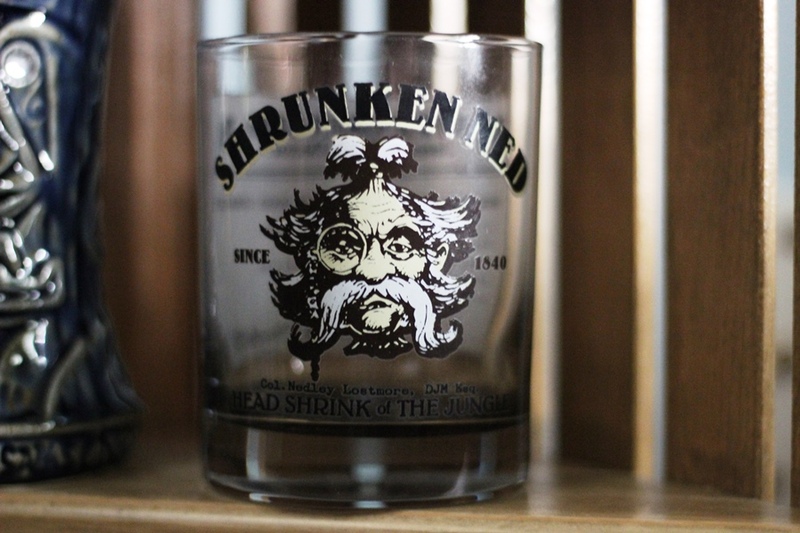 Shrunken Ned has had many callings in his life, as well as been the part of many ventures. 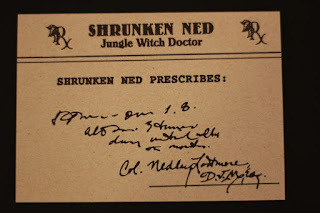 From a pharmacist with witty prescriptions, to the proprietor of a shrunken fleet of African steamer ships, he has never had a problem finding some way to occupy his time. 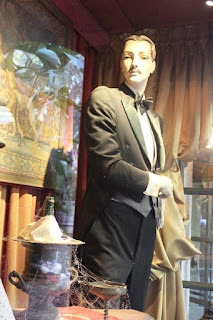 Most recently he has become involved with Twenty Eight & Main, a line of fine quality goods for the discerning gentleman. 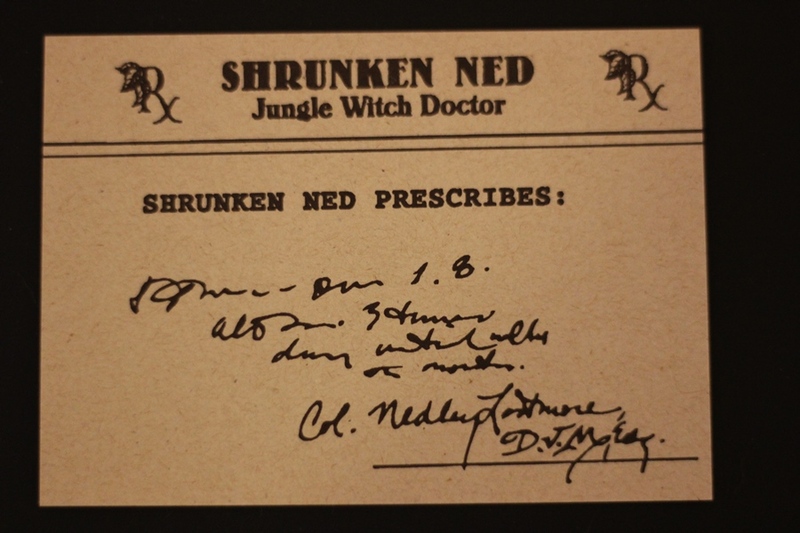 In particular, he has merged his prescription cards from his time as a Jungle Witch Doctor (or Head Shrink of the Jungle, take you pick) with refined glassware. a) Never Eat Anything Bigger Than Your Head. b) Get Plenty of Sleep, Especially At Work. c) Run Only If Chased. 3) If you succeed, you must have learned something, because you’re still alive! A) Eat only celery for 6 weeks. After 6 weeks, eliminate celery. B) Give up al bad habits, hobbies, television, friends and forms of amusement. C) Move to the Aleutian Islands and Sell Refrigerators. Shrunken Ned’s Sure-Fire Insomnia Cure! 1) While holding a double chili cheeseburger in each hand, balance a pepperoni pizza on your head, and a bowl of chocolate chip cookie dough ice cream on your nose. 2) Eat everything you can balance. When you think of the phrase “breakfast buffet” used in reference to the Contemporary Resort, guests’ minds typically run straight to Chef Mickey’s. The environment and character interactions are fun, but if we’re thinking of the best breakfast buffet for quality of food at the Contemporary, I’d like us all to start thinking about The Wave… of American Flavors. If you look at the menu for The Wave, it seems fairly generic listing on Wave Specialties and Classic Breakfast Favorites. The Wave prides itself on sourcing locally, so the quality is going to be present from minute one of any meal there. What surprised me, however, was the imaginative dishes and twists on classic breakfast components. Let’s take a quick run-through of the buffet’s options. There are assortments of pastries, both sweet and savory, and a variety of fruit options, but these are all things you would expect. For parfaits, you have options of Berry and Mint Greek Yogurt Parfait, Honey-Vanilla Yogurt Parfait, and Banana Caramel Greek Yogurt, each in its own personal shot glass. There is smoked salmon and pinwheels next to something you don’t always see on a breakfast buffet, deviled eggs. Biscuits, sausage gravy, oatmeal, and scrambled eggs are presented alongside an egg white frittata, hashbrown casserole, and eggs benedict. The bacon, sausage, and small Mickey Waffles are also present, but so is one of the best grits I’ve ever had on property. The Tillamook Cheddar and Bacon Grits is creamy, rich, with thick bits of bacon, in short it’s phenomenal. Another specialty item on the buffet is the Sweet Potato Pancakes. These fist size pancakes are cooked to perfection and are moist, not dry, and are a bit denser than typical pancakes. The sweet potato flavor, that sweet earthy flavor really comes through, as do the pumpkin spices that have been added to the mixture. Top these off with some of the pecan-honey butter and you are on your way to greatness. Here’s a pro-tip. On the regular breakfast menu is an entree known as Citrus-scented Brioche French Toast. It is not on the breakfast buffet, but that’s only because it is French toast and it gets soggy so quickly. If you would like some, the staff at The Wave will be happy to get you an order. Between the brioche bread, the citrus flavors in the dredge mixture, and the way it is fried to a golden brown make this some of the best French toast I’ve had anywhere in Walt Disney World. It made me very, very happy. The Wave… of American Flavors had very few guests dining in it the morning we had breakfast, and it is a fairly easy reservation to grab. Call it the best kept breakfast secret on property, call it a hidden gem, call it whatever you want to call it, just get over there for breakfast. If you’re a fan of breakfast, you won’t be disappointed. Just to tempt you a bit more, let’s walk along the buffet together! In the late summer and fall, the Magic Kingdom sets about the work of draping Cinderella Castle in lights that make it shimmer like an ice palace during the Christmas season. Then, once the holidays have passed and we’re on to the New Year, they work to remove the lights. During these times of the year it is not uncommon for a crane to be seen, standing like an unfinished spire within the castle’s courtyard. Some guests bemoan its placement in their photographs, while others come up with clever ways to highlight it in their photographs. 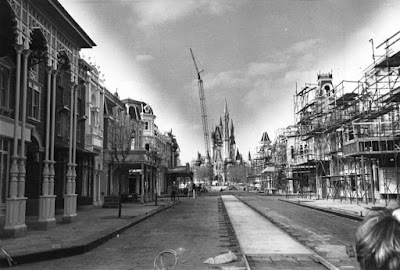 Regardless of their uses, however, cranes have a long history with Cinderella Castle and photographs, dating back to well before the park opened! This is simply a beautiful photo to me, even if everything is still a work in progress. You can see Cinderella Castle and the original hub area coming to life. The trees are in place, but some of the other planters are still missing, as is a fair portion of the entranceway to the castle. Both East Center Street and West Center Street can be seen diverting off of Main Street. The west side of the street looks almost finished, from the ornate posts outside of the Emporium, to the trees and covered entrances of the shops along the lane. 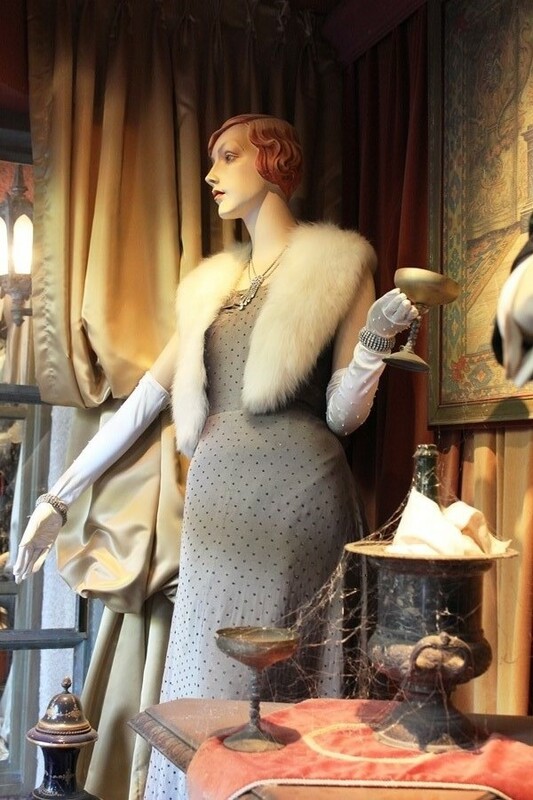 All that’s missing appears to be the window dressing and the signs themselves, and everyone will be in business. Meanwhile, on the eastern side of Main Street, there is clearly work to be done. While some details can be made out, missing windows, speaker/slats at the top of buildings, and boarded up doorways, almost everything else is obscured by the scaffolding. Even the shop canopies are bare bones at this point. It should go without saying that things like trash cans haven’t been installed on either side of the street yet. Last, but certainly not least, is the thoroughfare itself. The road is not finished yet, but you can make out the trolley’s tracks being installed. It won’t be long before it is clanging its way down Main Street. It’s a bit odd to consider just how many photos have been taken from this exact spot over the years, and how the view has changed. From the disappearance of West Center Street, the addition of the Partners statue, the change in shop names and themes, and even how the trees have grown. Sometimes there is seasonal bunting or other decorations, sometimes the buildings are covered by a wall or scrim, and sometimes there’s a crane in the picture. It’s the little changes that make a picture unique, but it is also a time capsule to be able to look back on the park over the years. I may be particular to construction photographs, but there is a story in every Main Street picture. Desserts can be very divisive. You either love them or you hate them. Some people love chocolate, but only chocolate, while others would prefer anything other than chocolate in their desserts. I’m a little more temperate when it comes to my dessert tastes, but if I find something I love (I’m winking at you Citrus Swirl), I am prepared to argue my dessert’s merits to no end. It’s with that thought in mind that we’re going to have a cake throwdown today. For today’s match up, we’re off to Chef Art Smith’s Homecomin’ to sample a pair of desserts. Each of the cakes we’re trying today has garnered their own fair share of die-hard fans in their short time at Walt Disney World’s Disney Springs, but there can be only one best bite. We’ll start out with the Shine Cake. As you can tell from the name, it does have some alcohol in its preparation. 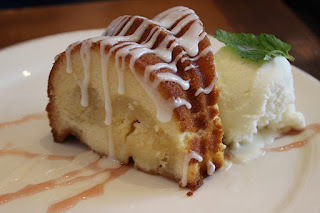 The cake is described as a butter cake, soaked with moonshine syrup. This isn’t your mother’s pound cake. The buttery Bundt cake is light and sweet, especially the moonshine syrup drizzled over the top of it. Let’s speak to the moonshine for a moment. 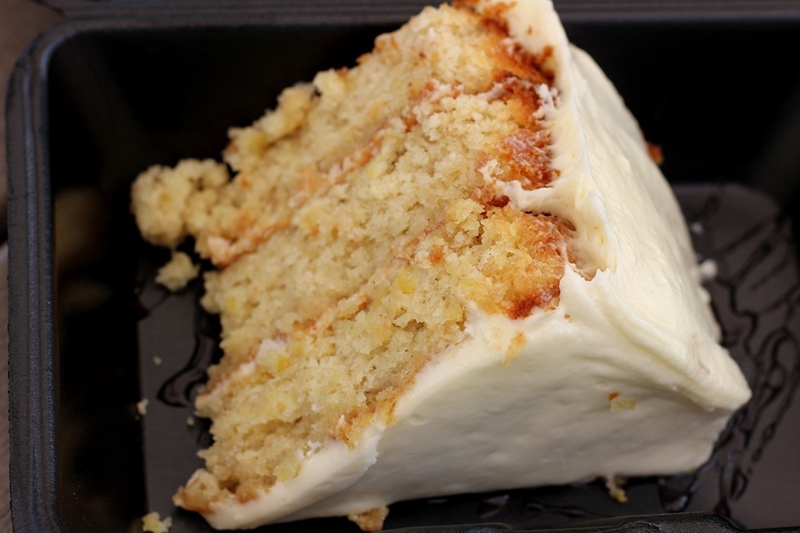 The syrup actually utilizes golden rum, while the moonshine itself is incorporated into the batter of the cake. 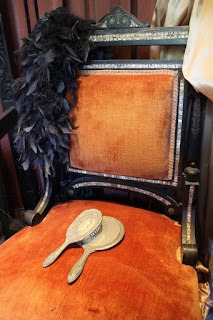 Neither has a heavy presence, but instead highlight the richness of the cake. Back to the cake itself, one could be forgiven for detecting citrus flavors in the cake, even though there is no form of citrus in the cake. Our other contestant is the Hummingbird Cake. Taking a page from every southern cookbook I’ve ever seen, but also turning it on its head, the Hummingbird Cake features a pineapple-banana cake with crushed pecans and cream cheese frosting. Speaking as someone who was known to eat cream cheese frosting from the tub as a teenager, this is some truly wonderful frosting. This cake also has a well-established pedigree as Chef Art Smith has made it for birthdays of both Maya Angelou and Lady Gaga. The frosting is the sweet part of this cake, with the actual body of the cake being dense and filled with complex flavors. The pecans, which are finely crushed, don’t add a textural element like you would think, but they add some nutty, milky flavors to the more prevalent banana and pineapple flavors. Think of this as banana nut bread amped up to 11. Both the Hummingbird and Shine cakes come with a scoop of vanilla bean ice cream. While it’s nothing fancy, it is done well, and offers a nice cool treat in the Florida heat. So, which one is the winner? I don’t believe you could go wrong with either. However, for my tastes, it is the Shine Cake. While it’s only for adults due to the moonshine and rum, it has a lightness to it that seems to be hard to find in cakes these days. It’s sweet, but not overly so, and goes down easy. The Hummingbird Cake is so dense that I feel like it is almost a meal unto itself. Go ahead and give them both a try, you’ll be glad you did. Arrivals and departure boards can mean a lot of different things to different people. They can tell us if our flight to Walt Disney World is ready, when we’re going to be getting home from a long business trip, and where our loved ones are. They can be frustrating or magical, filled with all sorts of emotions and destinations. 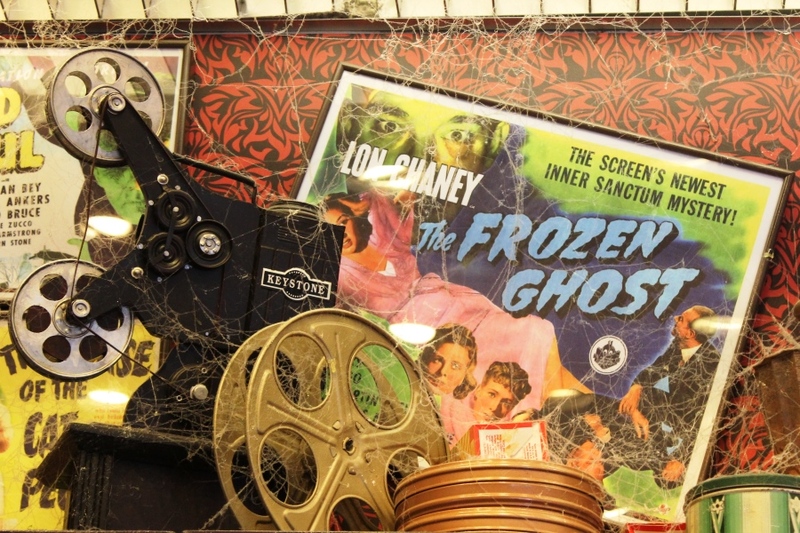 There’s one board that lives in the Disney TAG corner of the Marketplace Co-Op in Disney Springs, however, that includes some of the most magical destinations you’ve ever heard tale of. There’s a lot of information on this board to sort through, but the general eye you want to look at the board through depends on whether you are coming or going. On the Departures side of the chart, you’re looking for true life adventures around the globe. The destination is tied to theme park or resort, while the gate number gives you a year relevant to that locale. 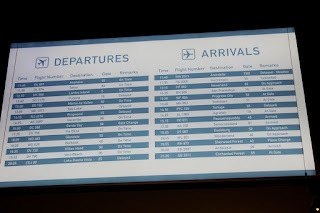 The number portion of the flight numbers can mean a variety of things, but the letters in front of them help flesh out more specifics, such as an abbreviation for the resort area (DL) , town abbreviation (OR), its tie to the Disney Company (WD). Starting at the top we have Anaheim (Disneyland), Tokyo (Tokyo Disneyland), Lantau Island (Hong Kong Disneyland), Pudong (Shanghai Disneyland), Marne-la-Vallee (Disneyland Paris), Bay Lake (Magic Kingdom), Ringwood, Harambe (Disney’s Animal Kingdom), Gorda Cay (Castaway Cay), Ko Olina (Aulani), Glendale (Walt Disney Imagineering), Burbank (Walt Disney Studios), Hilton Head (Disney’s Hilton Head Island Resort), Vero Beach (Disney’s Vero Beach Resort), and Lake Buena Vista (Walt Disney World). You’ll notice I subtly skipped over Ringwood. The code we’re given points us towards New Jersey, of which there is a Ringwood, NJ and the year 2015. Now, I combed through every possible scenario and idea I could to come up with identify why this was on the board, but nothing panned out. My current best bet is that this is possibly the hometown of an Imagineer that worked on the Disney TAG project. If you have a better option, I’d be happy to hear it! 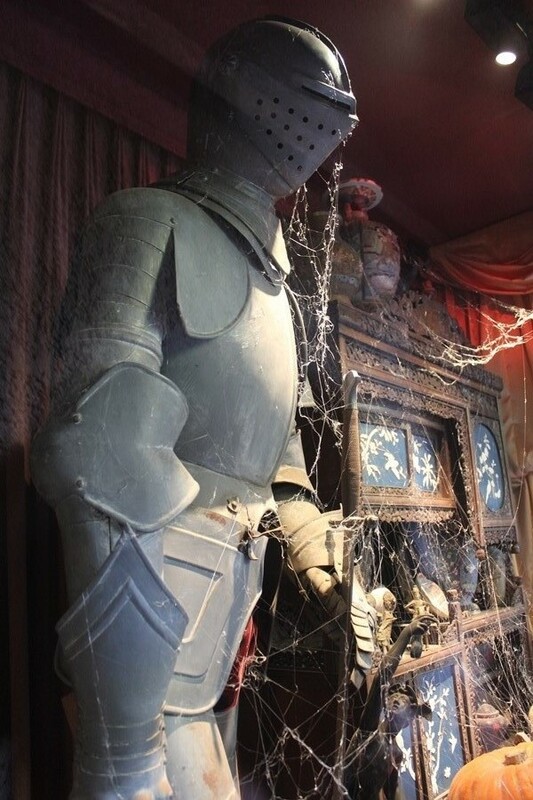 Moving over to the Arrivals board, we’re moving into the realm fantasy, including everything from live action features, animated films, and television productions. Again, the destination is the main key. The year the specific project was released can be seen in gate numbers, or occasionally in the flight number. The text portion of the flight numbers can give you abbreviations for the film itself, or the place in which the film takes place. Your best bet is to focus on the destination, but we’ll give you the run down here to make things easy. 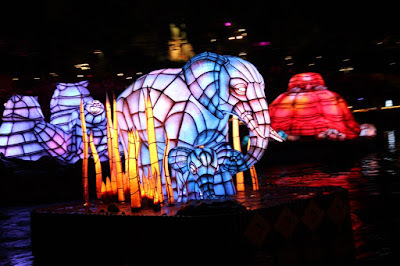 The destinations are Arendelle (Frozen), Kuzcotopia (Emperor’s New Groove), Neverland (Peter Pan), San Fransokyo (Big Hero 6), Toontown (the one outlier, this refers to Disneyland’s Toontown which opened in 1993), Tortuga (Pirates of the Caribbean – The Curse of the Black Pearl), Agrabah (Aladdin), Passamaquoddy (Pete’s Dragon), Tomorrowland (Tomorrowland), Duckburg (DuckTales), Wonderland (Alice in Wonderland), Sherwood Forest (Robin Hood), Andalasia (Enchanted), and Enchanted Forest (Once Upon a Time). Considering I’m traveling for work this week, there’s not a destination on either side of this board that I wouldn’t love to be visiting! No matter what destination you’re looking for, real or imagined, or where your next Disney trip takes you, I hope that your flight is always on time! Although, given the choice, which of these destinations would you love to visit next?